It has been widely reported that T-Mobile UK is the latest company to join the ranks of data loss offenders. Tens of thousands of personal records for T-Mobile customers were sold on to rival mobile phone salesmen from inside the organisation, leaving customers vulnerable and open to harassment from mobile contract salesmen. Amongst the data reported to have been sold on by T-Mobile workers are the names, numbers and contract expiry dates of tens of thousands of their customers, with the recipients of that information said to be salesmen who are increasingly turning to underhand and illegal tactics to capture customer data from their rivals. 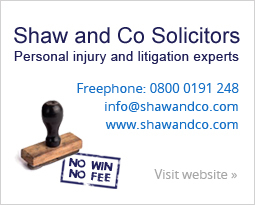 Data loss is proving to be an increasing problem, with personal information swapping hands like a commodity on the black market for what is though to be millions of pounds. Stricter regulations and security protocols have been called for by the Information Commissioner, who is responsible for upholding the Data Protection Act. Given the increasing severity of such data loss cases and the flippant manner in which such loses seem to be admitted, the Government has been asked to raise fines and add jail time to the list of punishments available for a company that is guilty of breaching the Data Protection Act. 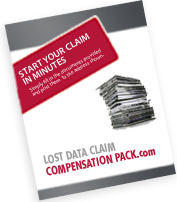 If you have been a victim of such data loss, or think that your data may have been sold on, Compensation Pack offers information about what your rights are and how you can claim compensation.